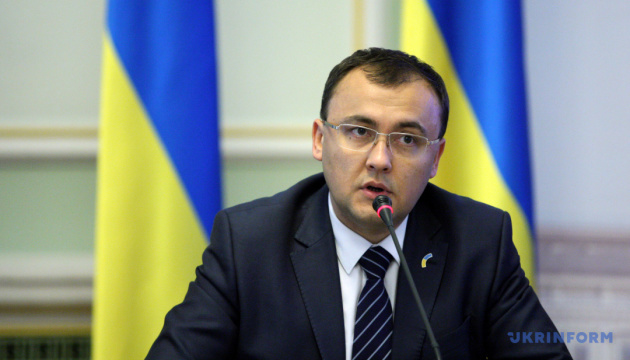 Ukraine's Deputy Foreign Minister Vasyl Bodnar has received copies of credentials from newly appointed Ambassador of Armenia to Ukraine Tigran Seyranyan, the press service of the Ukrainian Foreign Ministry has reported. "During the meeting, the sides discussed topical issues of Ukrainian-Armenian relations, in particular, areas of cooperation in the trade, economic, cultural and humanitarian spheres, mutual relations at the inter-parliamentary level. They also exchanged views on the positions of the two states within international organizations," the statement reads. The ambassador was separately informed about ongoing Russian aggression against Ukraine and its consequences for European security.